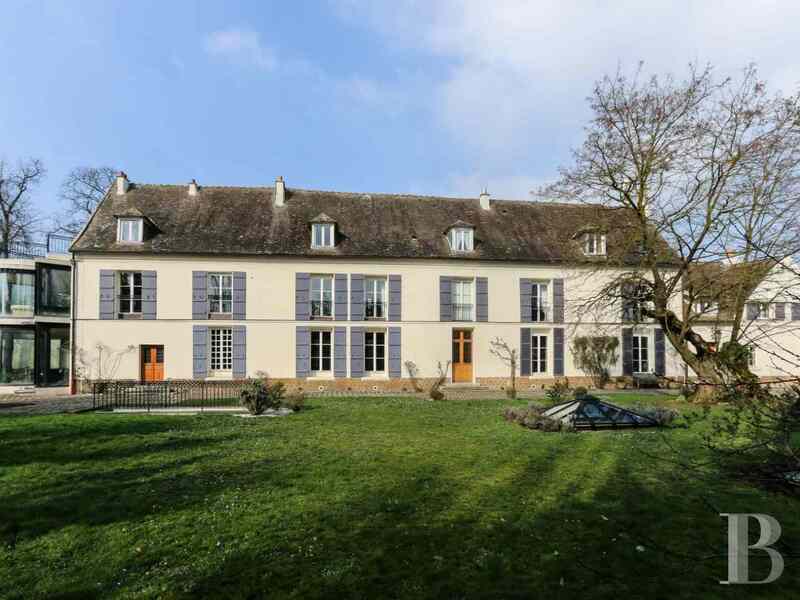 This property stands in the midst of Versailles plain, 25 minutes from Paris, 10 minutes from Saint-Quentin-en-Yvelines as well as 12 minutes from both Versailles and Montfort-l’Amaury. 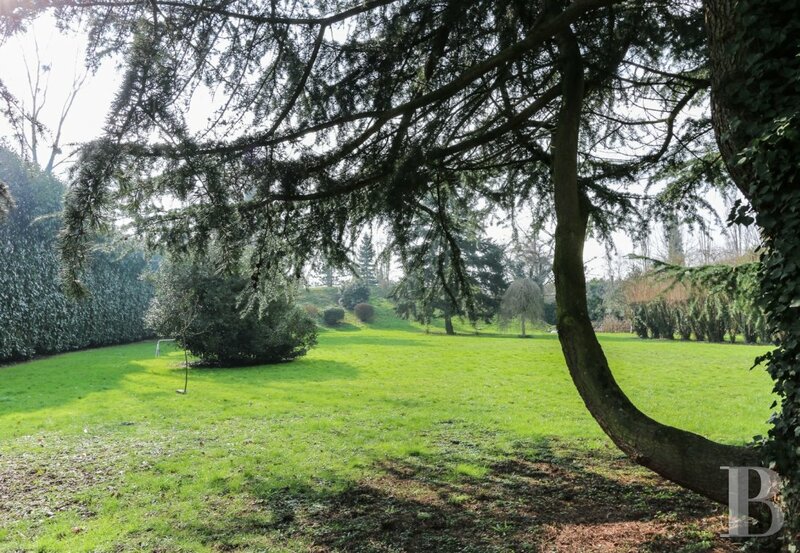 Nestling in a verdant setting, near to the forest, it is within walking distance of shops and schools. 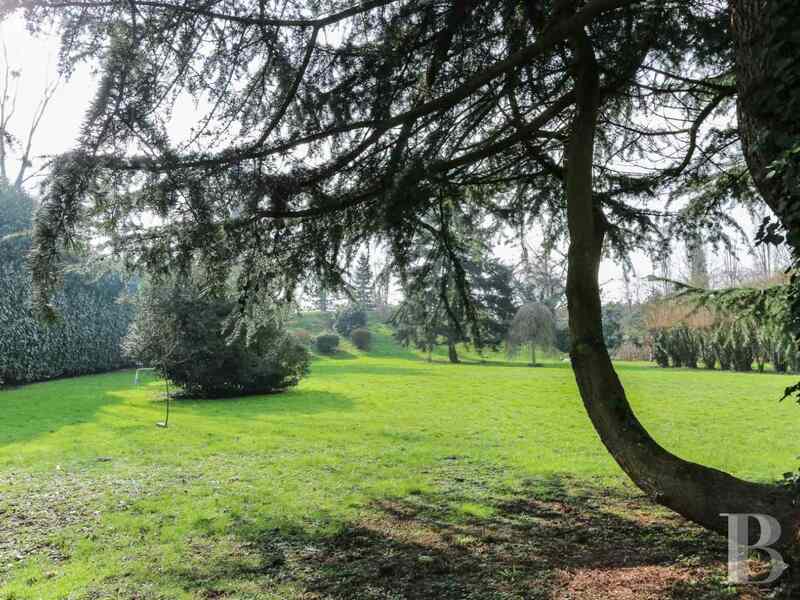 This property includes a house, with 700 m² of living space and a total floor surface area of 1,400 m², as well as a 6,200 m² wooded garden. The main building comprises a 260 m² ground floor with an entrance hall, a dining room, a vast kitchen (54 m²), a small lounge, a large lounge (47 m²), an auditorium, a winter lounge and a conservatory. 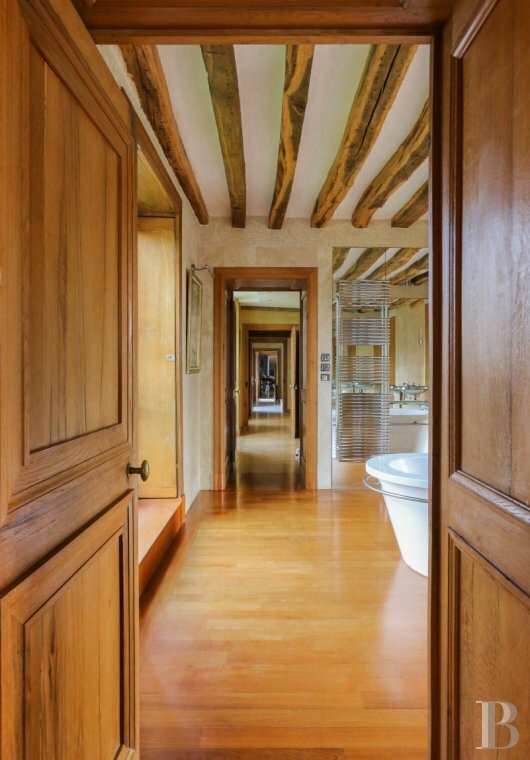 The first floor, spanning 244 m², features four bedrooms, each with a bathroom and toilet, as well as a master bedroom, adjoining a bathroom with a shower and toilet, a dressing room and a winter lounge. 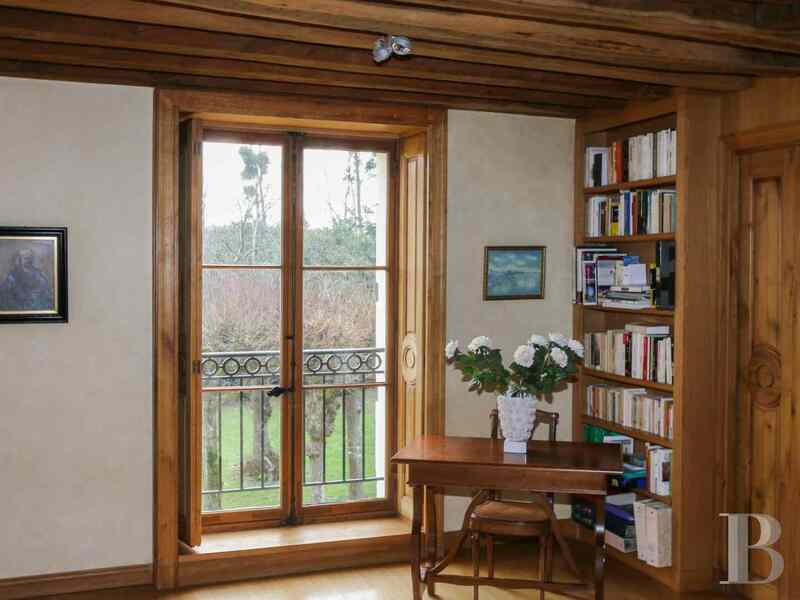 The second floor, spanning 190 m², has two bedrooms, with a mezzanine and bathroom, a staff bedroom as well as a study with a terrace. 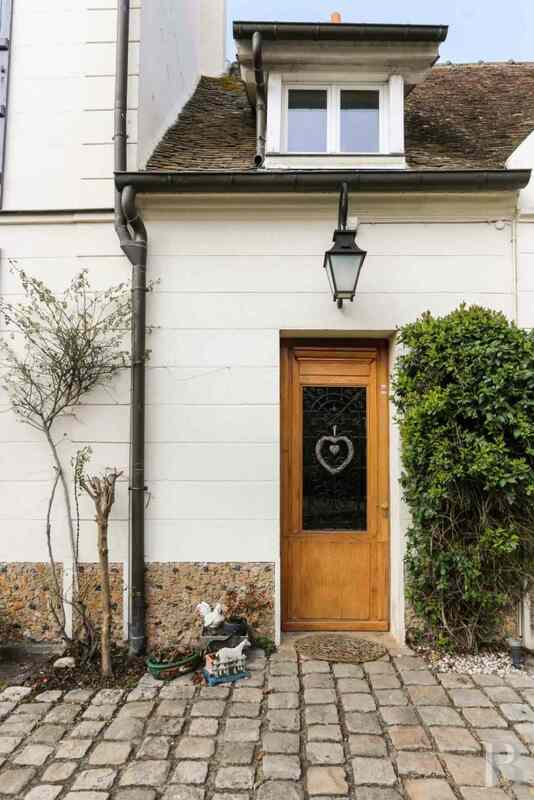 The vast basement, spanning almost 300 m², houses a 6-car garage (191 m²), a boiler room, a wine cellar, a workshop and a laundry room. The annex building, with its flexible layout, spans a floor surface area of 350 m². This modern glass and metal structure is connected to the main building. It currently comprises a 12x6 m swimming pool, an exercise room, a Jacuzzi, a sauna, two shower rooms and toilets. This property is fitted with a video surveillance and alarm system. 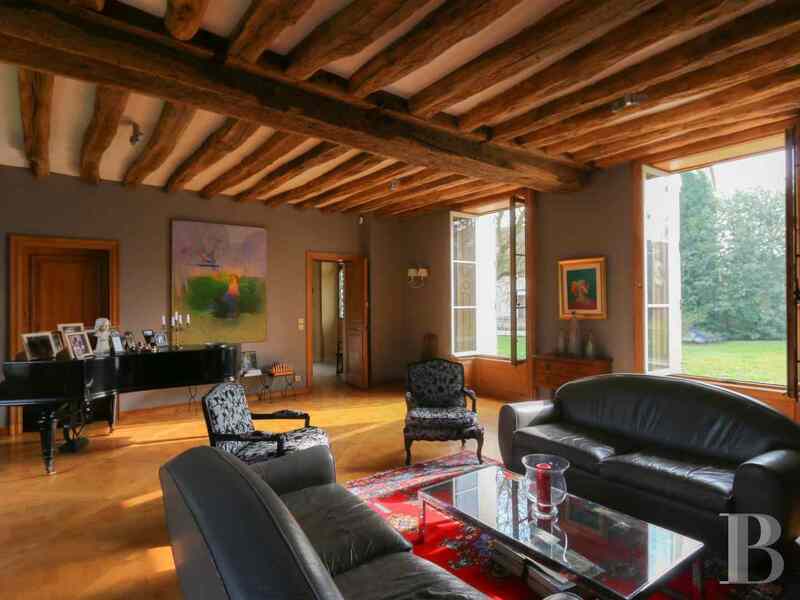 It was fully renovated and extended by a well-known architect. 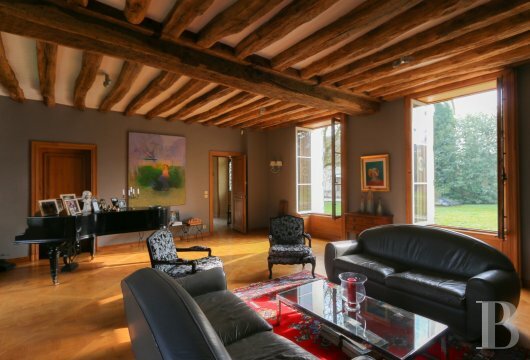 This house, built from stone in the 18th century, was originally a farmstead which has undergone full renovation works and been extended with a contemporary glass and metal construction, designed by Spanish architect Erik Morvan. The rectilinear appearance of the old building is enhanced by the curves of the modern structure. Although several doors provide access into the house, the main entrance is in the centre of the facade. 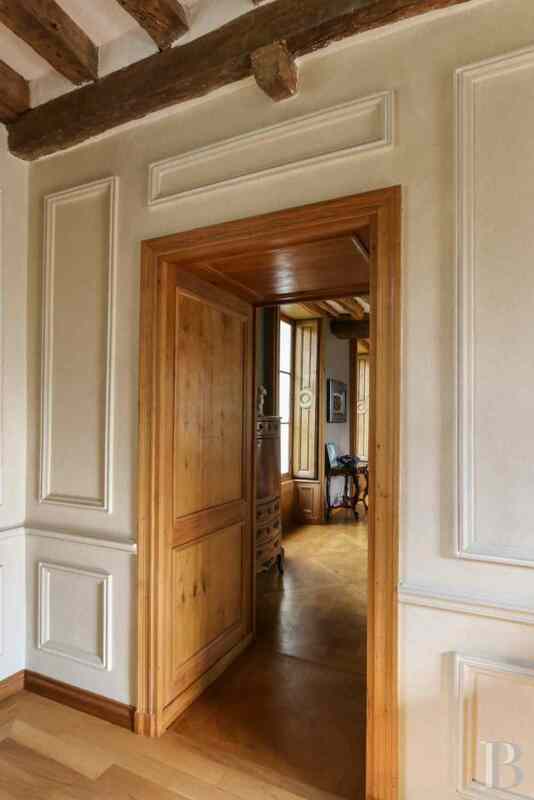 An entrance hall leads, on either side, to the various sections of the ground floor. 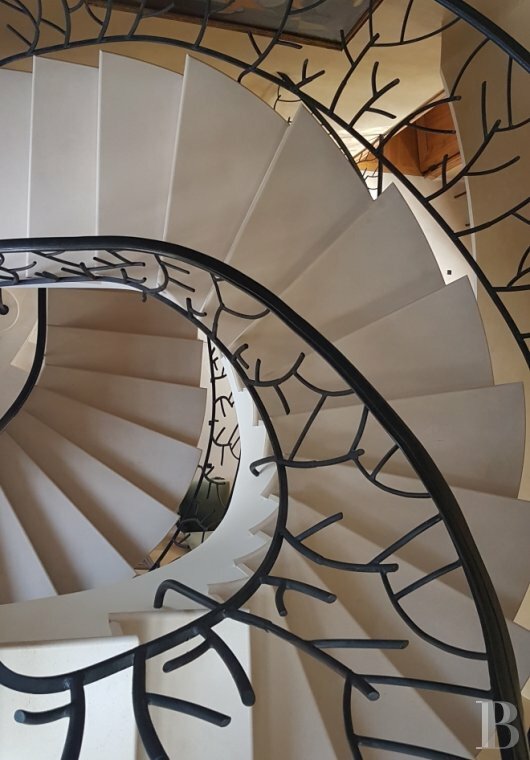 It houses a modern, double-flight stairway, with wrought iron railings featuring stylised branch motifs and creating a dynamic and airy feeling. 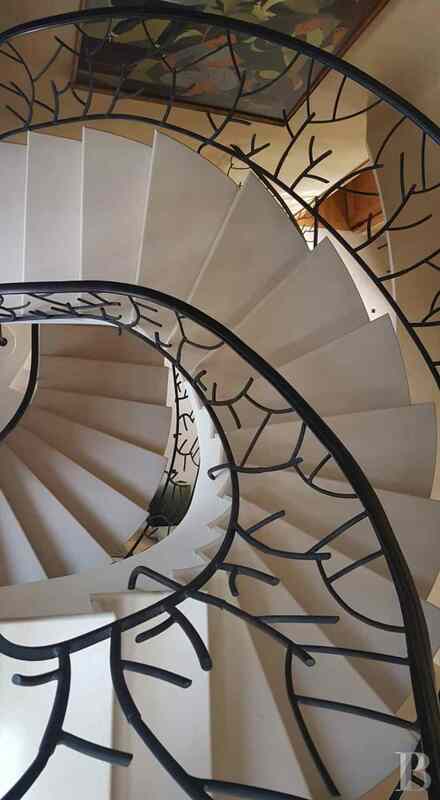 Said stairway goes to the upper floors and to the basement. 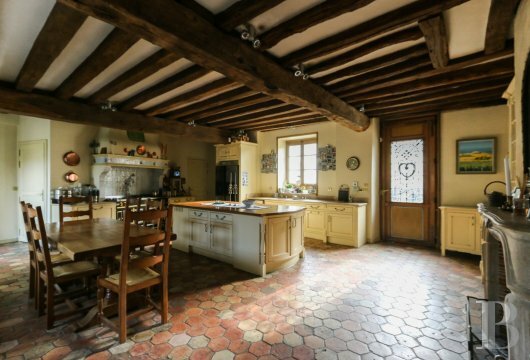 On the right-hand side are a kitchen, a dining room and a small lounge. 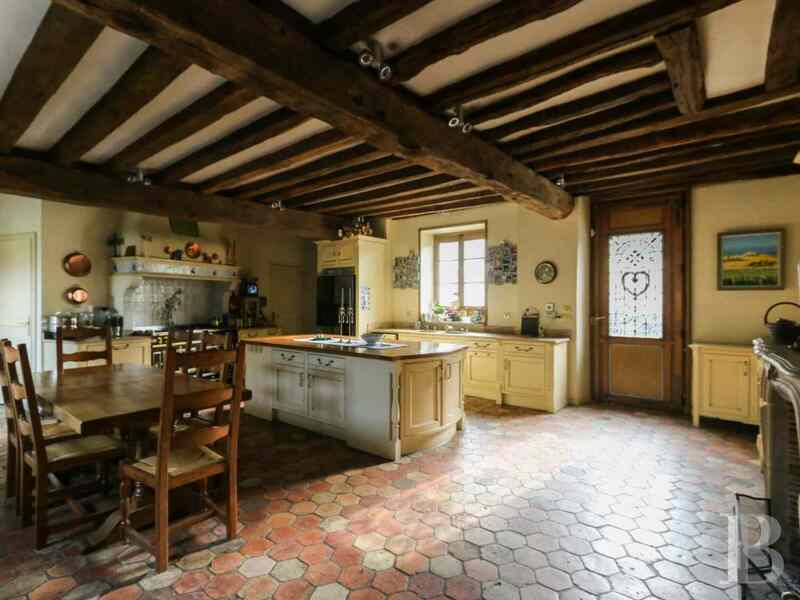 The kitchen has its own door leading outside as well as stairs leading down to the basement and up to the first floor. This extremely large room, looking widely out over the garden and providing access to the swimming pool, is one of the house’s main living areas. 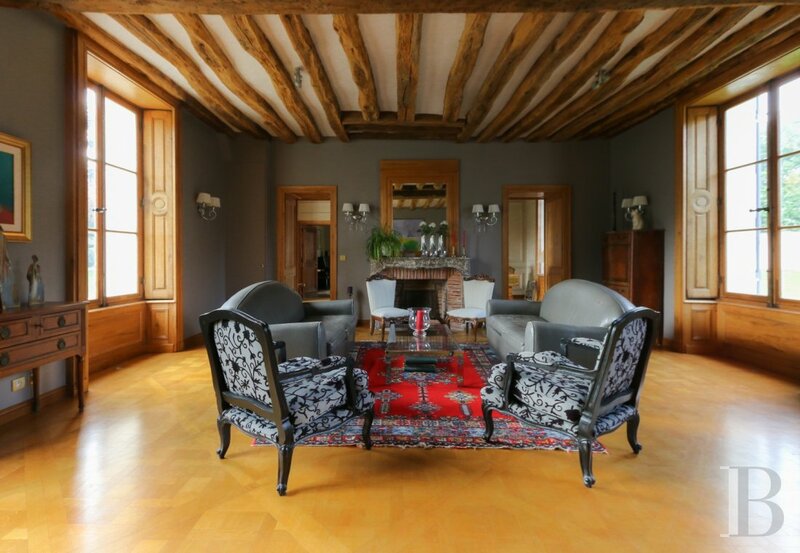 Just like the adjoining dining room, it features old terracotta floor tiles as well as the exposed ceiling beams which are to be found in all the ground floor rooms. It also has an elegant stone fireplace. 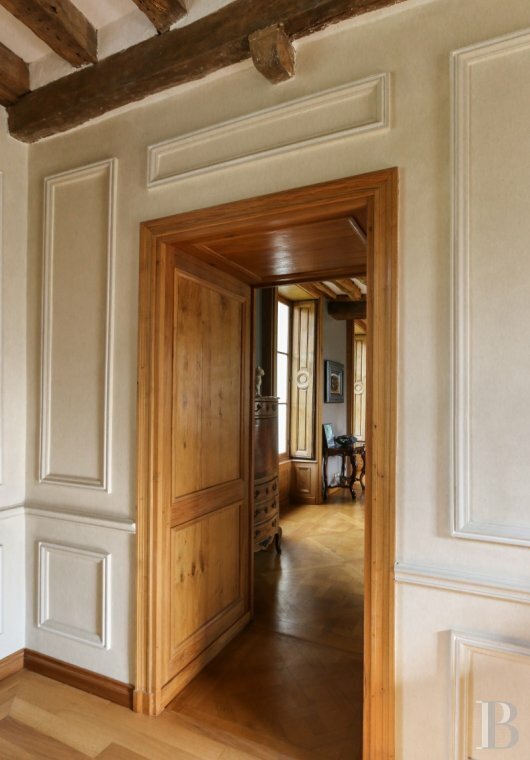 On the left-hand side of the main entrance, the large lounge, with its marble fireplace, its parquet flooring laid in a Versailles pattern and its indoor shutters, is filled with soft light. 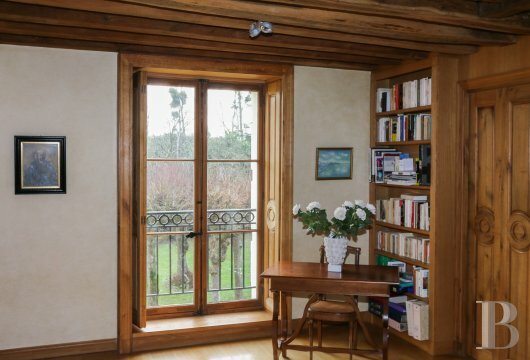 A little further on, a study adjoins the games room which opens on to a wide veranda. 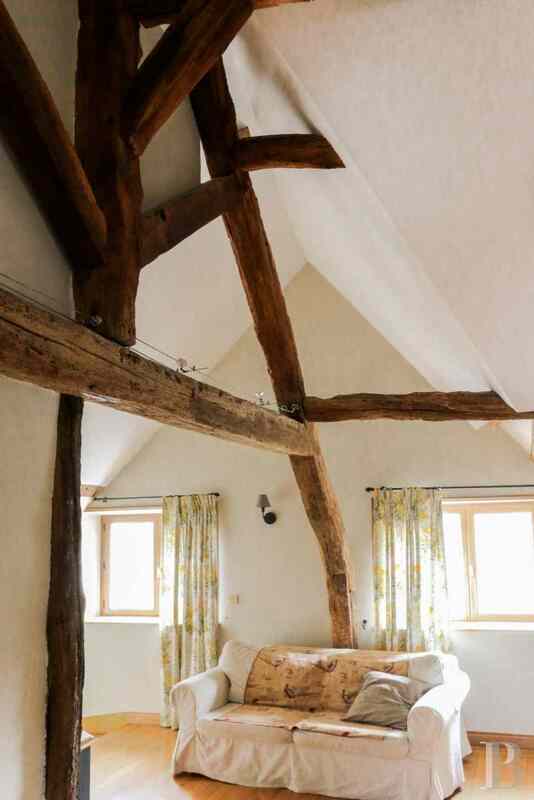 The latter can be used as a winter lounge, courtesy of its double hearth fireplace, or open on to the garden when the weather is clement. A wooden stairway leads upstairs. 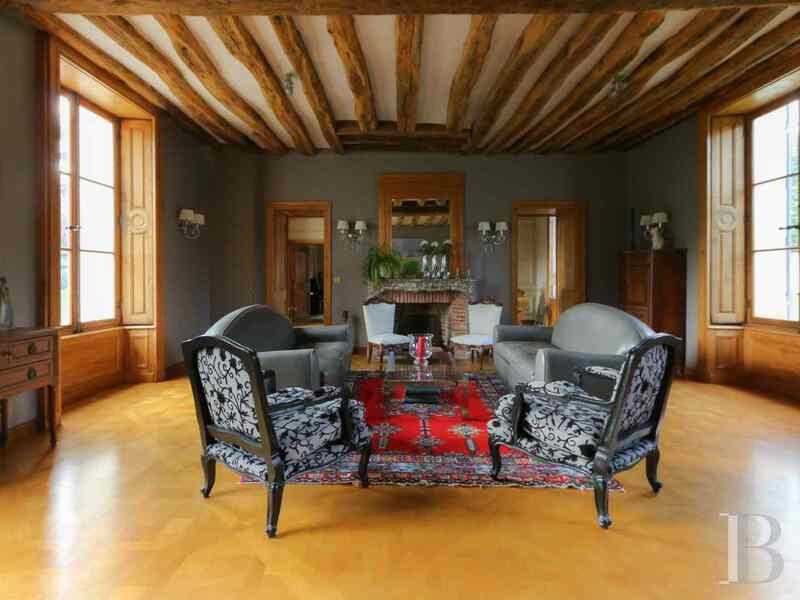 This level, spanning 244 m2, has parquet flooring throughout. 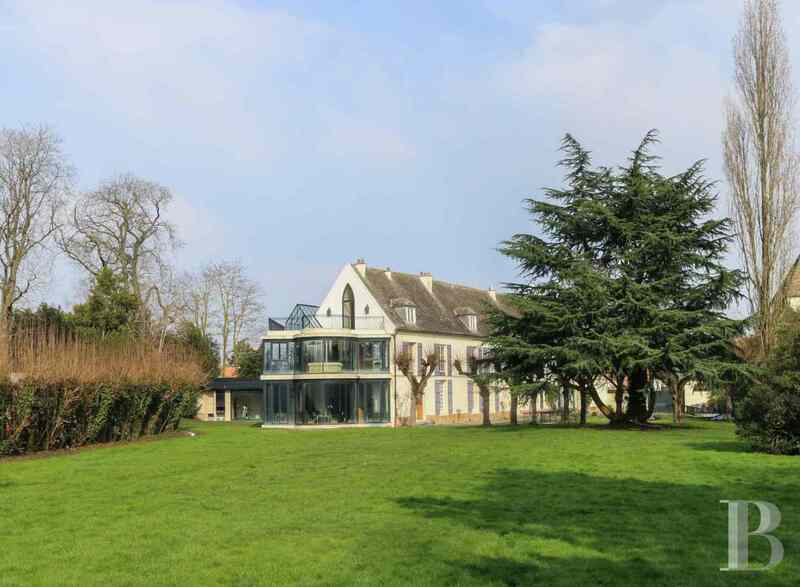 It comprises a master suite including a bedroom, a bathroom with a bath, a shower and a toilet, a dressing room as well as a glazed winter lounge with a panoramic view of the garden. The first floor also has a further four bedrooms, each with a bathroom and a toilet. 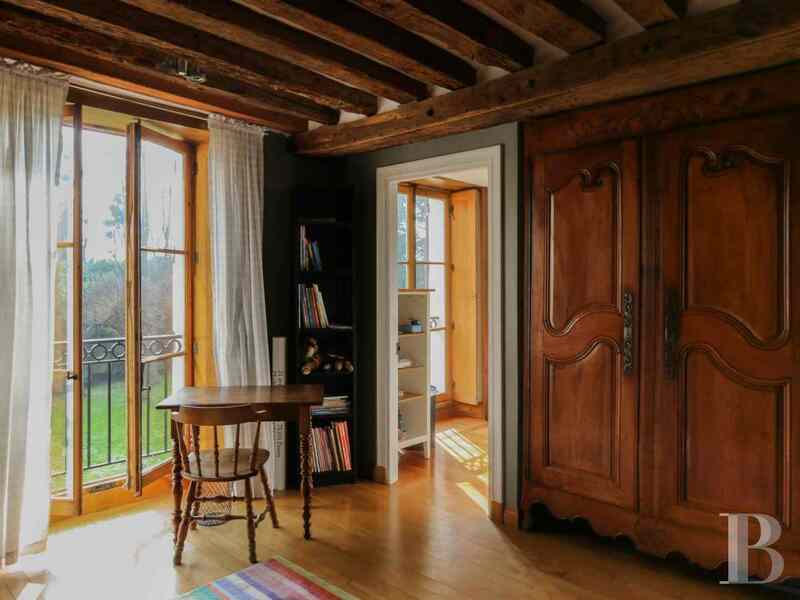 The windows are fitted with finely carved, wooden indoor shutters. This level features quite unusual rooms courtesy of its high ceilings, its glazed surfaces and its layout under the sloping roof. 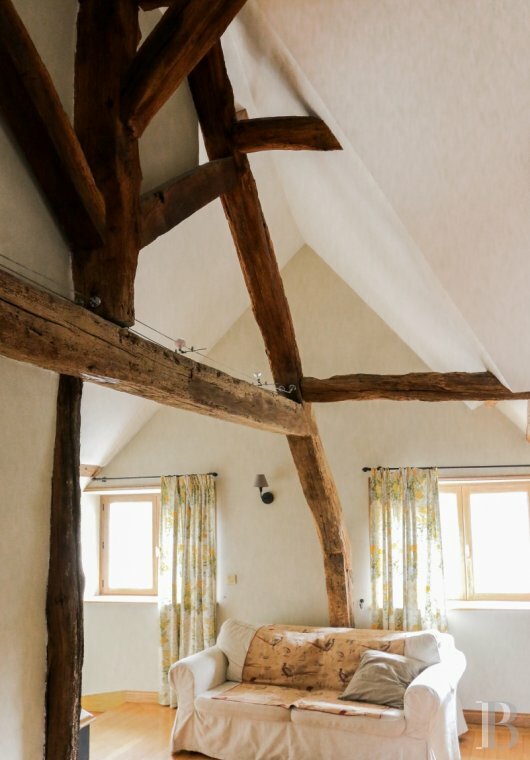 Said rooms include two vast bedrooms, each with a mezzanine, a bathroom with a toilet and a dressing room, as well as an extremely spacious study with a terrace dominating the garden. There is also a staff bedroom. The basement is illuminated via a light well. 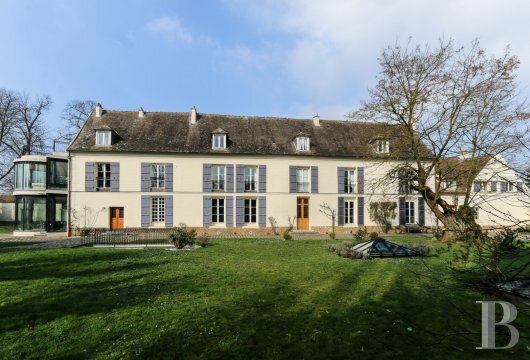 It comprises several rooms, including a 191 m² garage able to take 6-8 cars, a boiler room, a pool machine room, a wine cellar, a workshop and a laundry room. The extension, spanning a floor surface area of 350 m², is completely given over to the pleasures of water. Its modern, glazed layout is flexible and can be opened or closed in accordance with the seasons. It is directly connected to the main building via a glazed lobby. 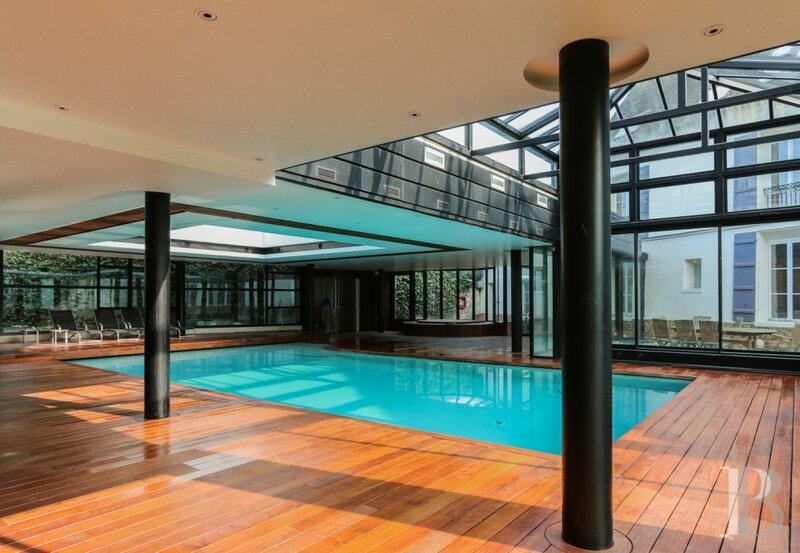 In the centre is a 12x6 m swimming pool, surrounded by an immense deck, made of exotic wood exuding warm hues. Set out around the pool are an exercise room, a Jacuzzi, a sauna as well as two shower rooms and a toilet. 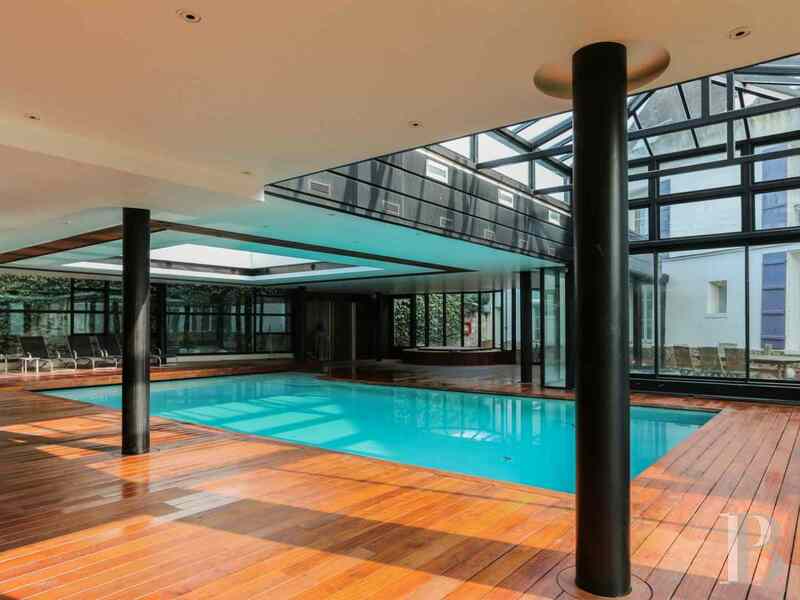 The pleasures that water brings, around a swimming pool, have the right here to their own home in the form of a transparent, glass and metal construction, extending the main house. 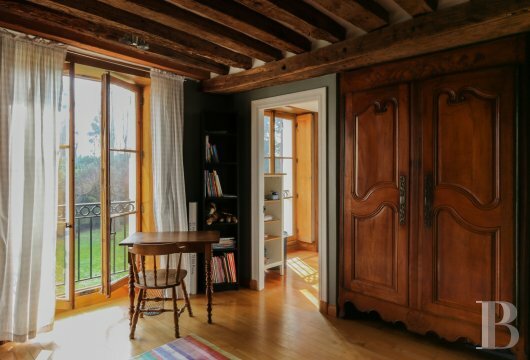 Its contemporary character is counterbalanced by the residence’s old decorative features including bare stone walls, exposed ceiling beams, moulding and terracotta floor tiles. But this balance is not just between modernity and authenticity, it is also between the inside and the outside using glazed surfaces, a veranda and a terrace. This tastefully and cleverly renovated family property, just a stone’s throw from Paris, is a wonderful blend of eras.